We believe that, in order to get the best product, it requires the best materials, the best procedures, and the best personnel. We start by using American-made steel, and other quality materials, from the best local vendors, to stock our manufacturing shop and service shop with the highest quality materials. We make sure that our manufacturers, fabricators, mechanics and machinists have a state of the art facility to work in, and the best tools of the trade and cutting-edge equipment to utilize. Our service and fabrication teams are all expert welders, as well as skilled, talented, exceptional craftsmen. Our team works together to ensure that every inch of every product is made to the highest standards. Meticulous precision and attention to detail is reflected in the smallest components. From the pins, bushings, and cylinders, to the subframe and structure, to the lighting and finishing touches, no detail is unimportant. 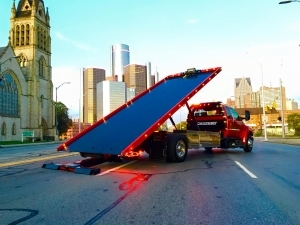 Each Low Loader starts with a cab-and-chassis. Whether you have a truck that is ready for improvement, or are starting fresh with a brand new truck, we can help you get started. We can remove an existing bed, or hook you up with a local dealer to get you on the road to designing the truck of your dreams! We broke the mold with the Low Loader.Finally a piece of equipment built for your needs and conditions. Nice car, junk car, fork lifts, machinery. 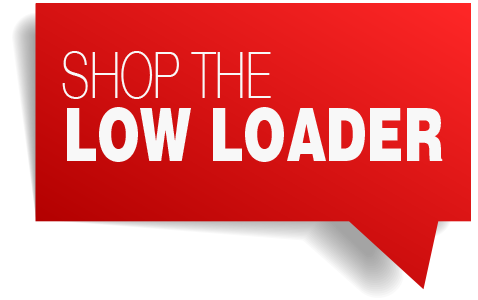 The Low Loader will not let you down. Down time is unheard of. Change bed wear pads in an hour. Winch hoses in an hour. Once a Low Loader is built. They are very easy to maintain. Ask for references. Made In Detroit means something again! The best Low Loader ever built will be the one we build for you. We listen to your needs to make sure you get the right set up. Come meet the Low Loader in person at the next towing convention, stop by our 50,000sqft factory, or visit us online to find out more about the truck that’s changing the industry.